Rugby finally came home, with the Crusaders putting on a show for the Christendom fanbase, defeating the Northern Virginia Griffins 55-27. On the road, the Crusaders baseball team defeated Penn State Fayette but fell in a double-header to Potomac State. 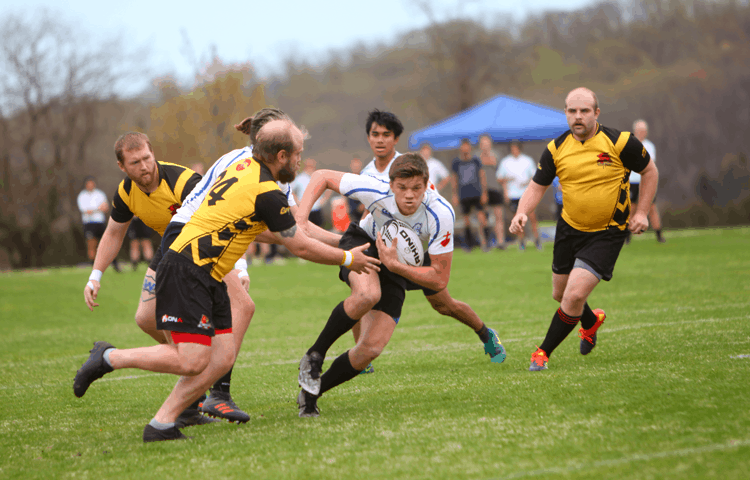 The success of the Christendom Crusaders rugby team has demanded a heavier traveling schedule in recent years, with the team going up and down the east coast to compete in tournaments and to play conference rivals. The team only played one game at home this past fall, making Christendom fans hungry for another. The team was finally able to oblige on Saturday, taking on the Northern Virginia Griffins — a tough opponent for the team in the past. The 2018-19 Crusaders are a different beast this year, however, and jumped to an early lead over the Griffins, 36-15 at the half. That lead would only continue increasing as the minutes continued in the second, with the team eventually winning 55-27. After the game, the team honored graduating seniors Jerome Norton, Tim Marra, Thomas Ward, Kevin Kuplack, Michael LaRochelle, AJ Lancaster, Joe Kelly, Dan Corkery, Jacob Cassidy, and Joe Peters. The entire team will reunite for the NSCRO 15s National Championship in Albany, New York, at the end of the month. On the road, the Crusader baseball team looked to bounce back after a double-header loss to Wilson College last weekend. Taking on Potomac State, the team fell hard in both games on Saturday, 13-0 and 5-1. Sunday fared better, with the Crusaders winning a close game against Penn State Fayette 10-9. Rain cut the game short and cancelled the other, leaving only three games left on the Crusaders schedule for 2019. The Crusaders baseball team will next play at home this coming Tuesday, April 16, against Patrick Henry in Bing Crosby Stadium at 5:00 p.m. For more information, please visit christendomathletics.com.